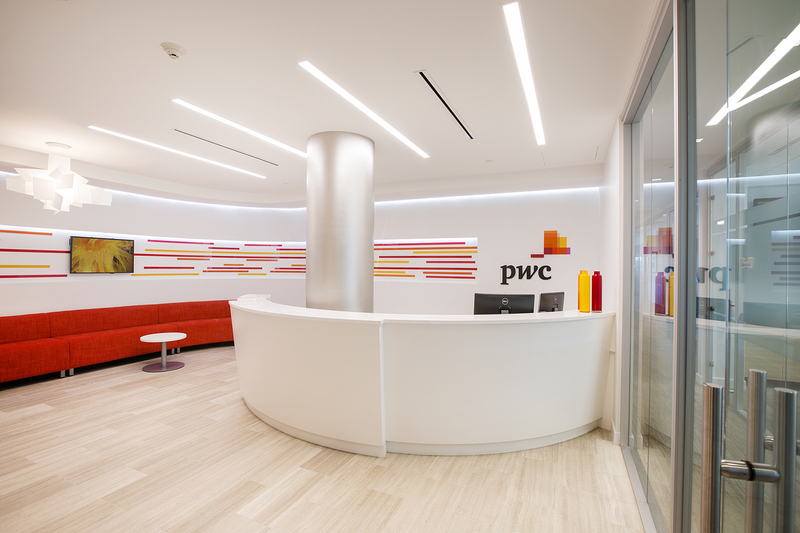 PwC is a multinational professional services network. 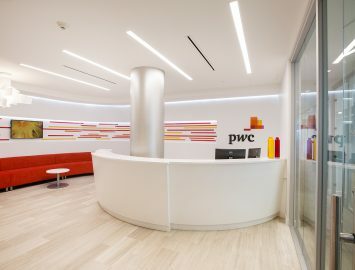 It is the largest of the “Big Four” Auditors. 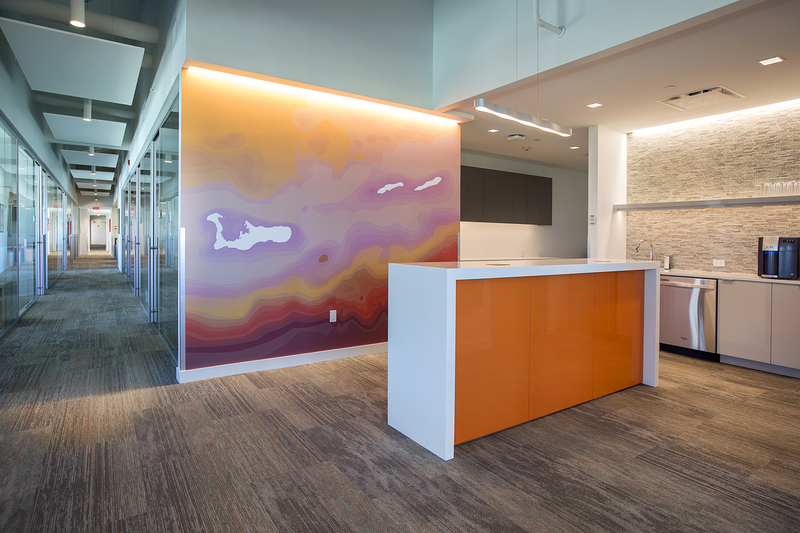 Frederick McRae Ltd. were engaged in 2014 as part of the design-build team for PwC’s new premises in Camana Bay. 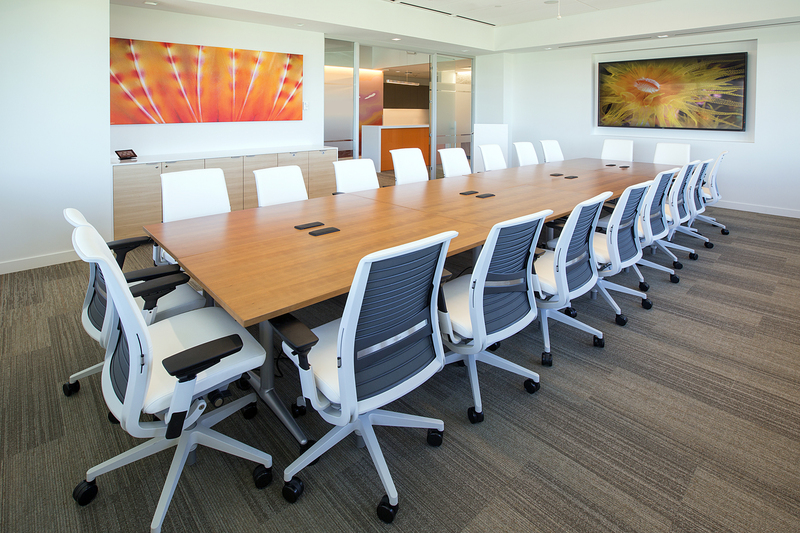 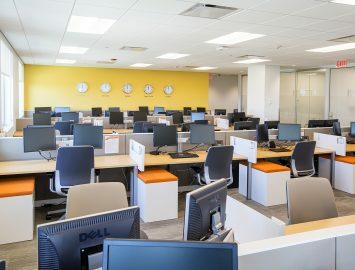 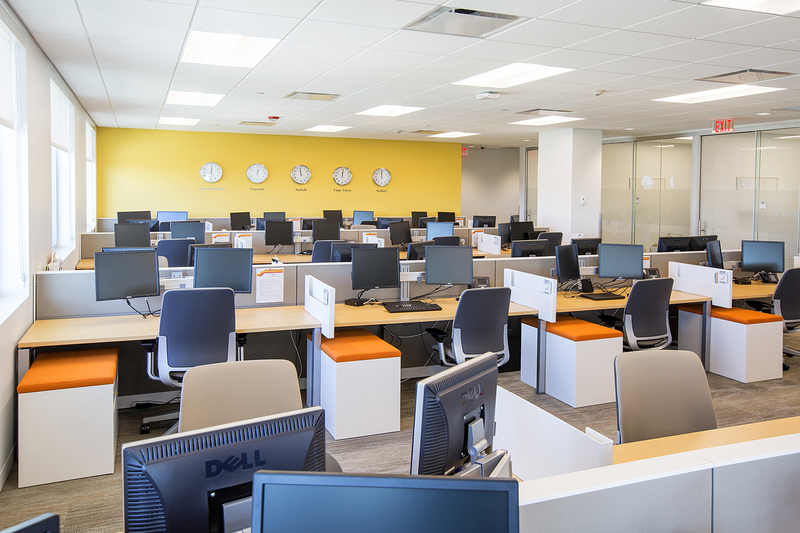 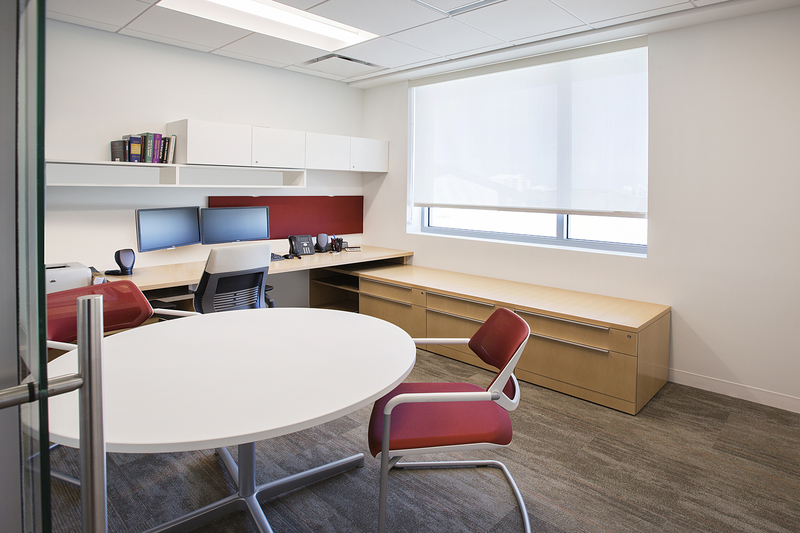 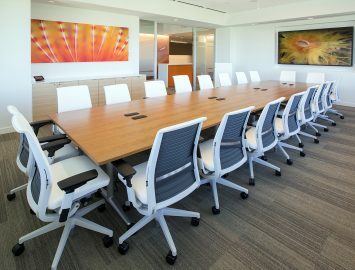 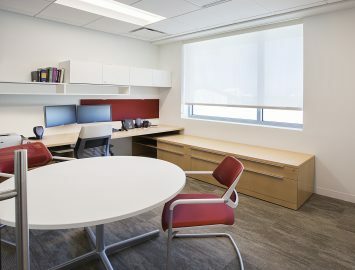 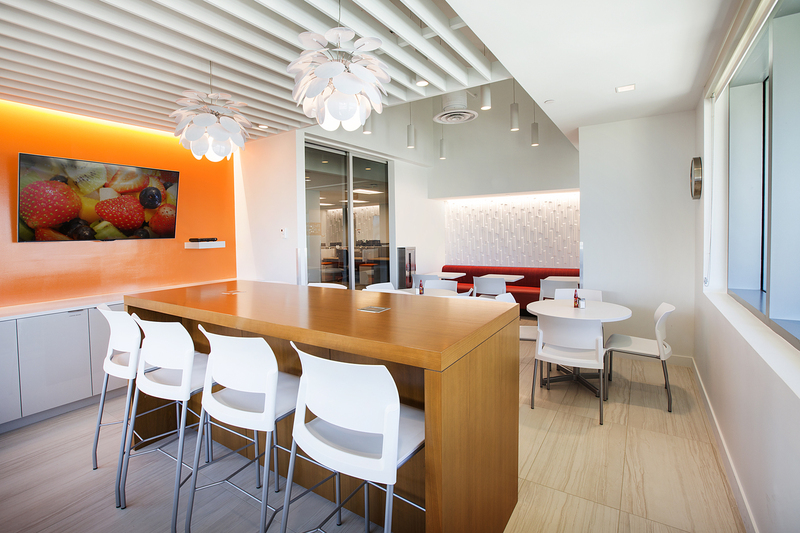 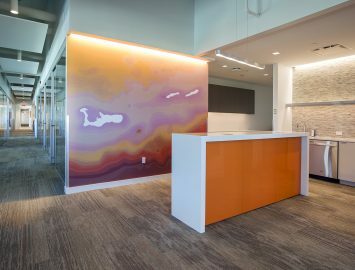 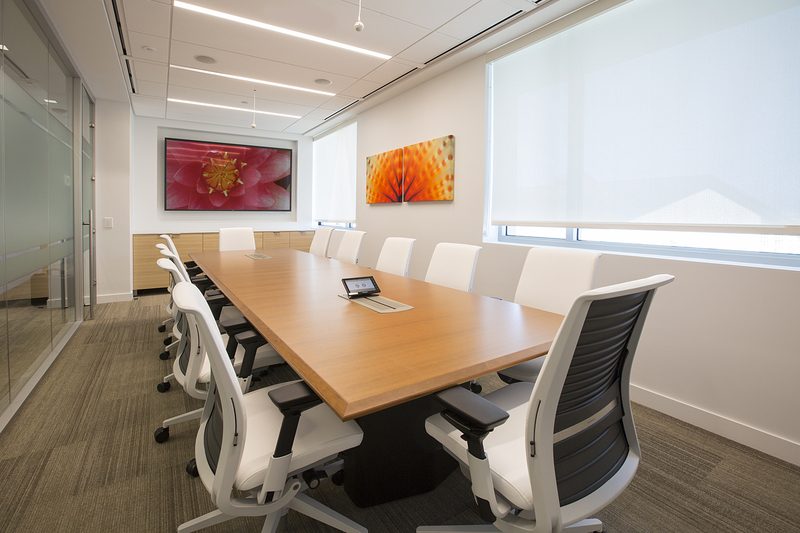 PwC’s goal for this location was creating a collaborative, bright work environment that clearly articulated their corporate brand. 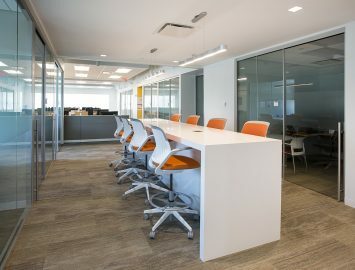 Vocon, an architectural firm based in the US were instrumental in developing the initial design concept which Frederick McRae Ltd. translated into CDs and final specifications for construction. 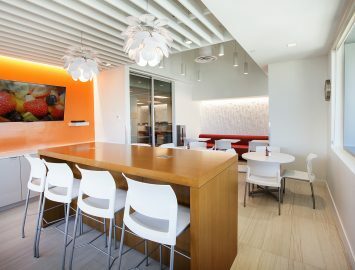 This resulted in clean, crisp architecture through the use of glass office fronts, collaborative, open spaces and the use of vibrant corporate colours through-out the space.